Following the close of its collective sale tender on Dec 19, 2017, Pearlbank Apartments in Outram was sold through a private treaty collective sale to CapitaLand Limited for $728 million, announced the developer on Feb 13. The sale price, with an additional lease top-up premium for a fresh 99 years estimated at $201.4 million, translates to a land price of $1,515 psf ppr. There is no development charge payable, says Colliers International, which brokered the deal. The 82,376 sq ft Pearlbank Apartments site atop Pearl’s Hill in Outram Park has a Gross Plot Ratio of 7.2 under the 2014 Master Plan. However, it has an existing Gross Plot Ratio of 7.4479. As such, the site has the potential to be redeveloped into a residential development with a total GFA of approximately 613,530 sq ft, says Colliers. Subject to conditions precedent, CapitaLand plans to redevelop the Pearlbank Apartments site into a highrise residential development with about 800 units. 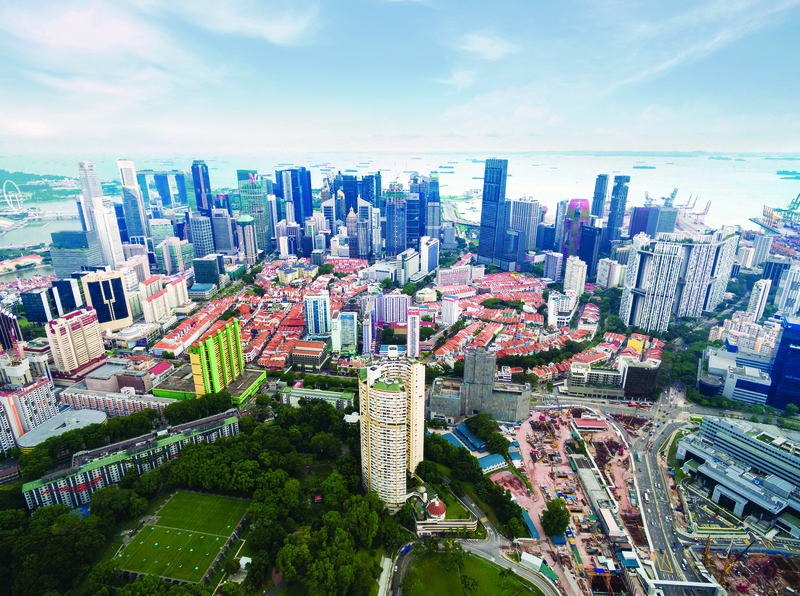 Every unit will enjoy unblocked panoramic views extending from the Central Business District (CBD) to Sentosa as the site is on elevated ground, says CapitaLand. The project is targeted for completion by early 2023, right after the opening of the third MRT line in Outram, the Thomson-East Coast line, says Ronald Tay, CEO of CapitaLand Singapore.